Sydney's Potts Point has experienced a renaissance of late, shedding its once gritty, tough exterior to become one of the city's most talked about precincts. This pocket-size locality is less than one square kilometre yet it boasts a healthy share of Sydney's hottest restaurants and bars, is walking distance to most of the city's major tourist attractions and for those who love to shop, there are plenty of boutiques in which you can happily while away an afternoon (and give your credit card a workout). 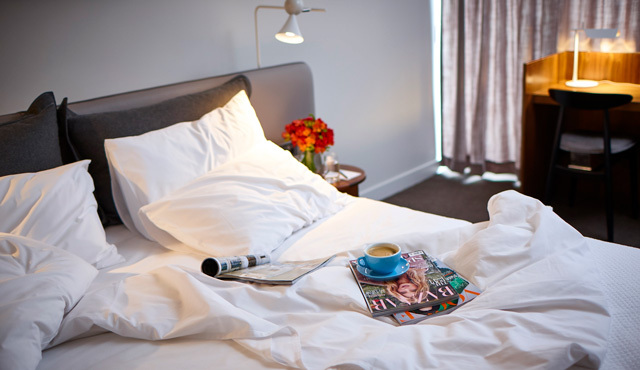 The beautiful mix of art déco and modern architecture make this inner city suburb a favourite amongst locals, and one in which spending a weekend is almost not enough. If you're a foodie you're in for a treat. Potts Point and its surrounding suburbs is home to many of Sydney's most acclaimed restaurants so the only problem you’ll have is trying to decide where to eat. For those wanting a hearty feast, Apollo on bustling Macleay St is famed for its modern Greek fare. A great lunch and dinner spot, the restaurant's saganaki cheese with honey and oregano and oven baked lamb shoulder is not to be missed. If you have a hankering for Asian cuisine add ChoChoSan, Ms G's and Billy Kwong to your list. Japanese restaurant ChoChoSan’s chic white interior is quite minimalist but the menu is anything but. Each dish is 'gram-worthy with hot favourites being the pork katsu steam bun and the matcha soft serve. Ms G's does Asian fusion with a twist and serves everything from banh mi to cheeseburger spring rolls. Those with a sweet tooth need to save space for the Stoner's Delight which features doughnut ice cream, a Mars Bar brownie and deep fried nutella just to name a few ingredients, so throw that diet out the window immediately! 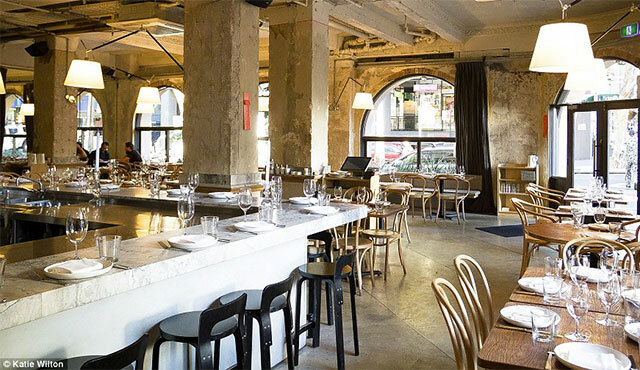 Famed chef Kylie Kwong's restaurant Billy Kwong serves fresh, modern Chinese fare that incorporates locally sourced produce and native Australian ingredients so expect a meal of epic standards. For a local breakfast institution be sure to head to Bill’s in nearby Darlinghurst. The menu is the kind that makes it almost impossible to choose just one thing but for a guaranteed winner try the ricotta hotcakes. (You can thank us later). Sydney is certainly not short on options for a drink or two. 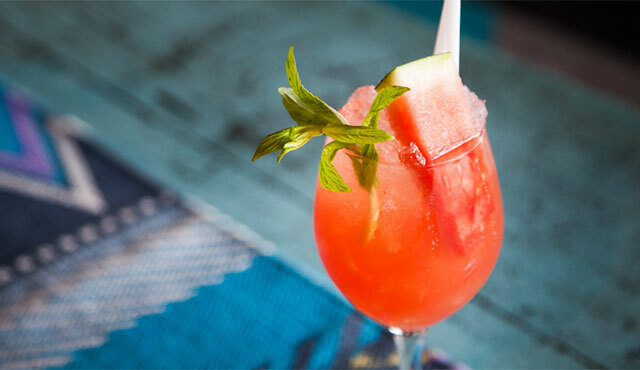 In Potts Point head to Sweethearts Rooftop which as the name suggests, is a rooftop bar that serves up tasty Mexican eats along with slushies and cocktails by the jug. For a slightly more upmarket experience make your way down to The Powder Keg. This small bar has an impressive cocktail and wine menu but where it really excels is gin. Gin and tonic fans can choose from 110 different types of gin from around the world and can customise their drink and choose the kind of tonic water they’d like down to ice type and garnish. A must! If you feel like venturing away from Potts Point you can head down to the newly refurbished pub, The Dolphin in Surry Hills. Spread out over three levels there’s a public bar, wine room and dining room so there’s plenty of spots to spend an afternoon or evening. 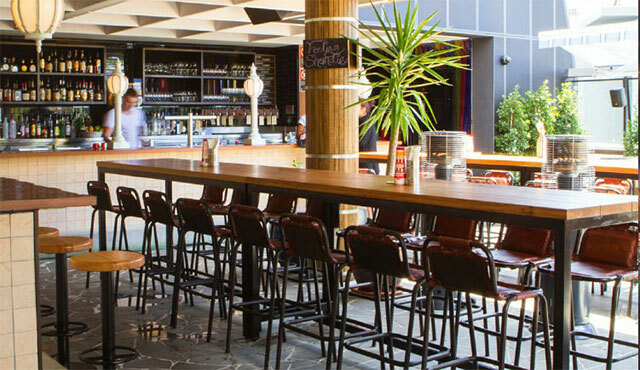 Nearby Paddington is also a great spot for a drink and has plenty of watering holes to cater to every mood. For a quiet drink you could head to 10 William St which is small and cosy, and the ideal spot to enjoy a glass of red. Alternatively head to The London which has tasty bar food and is always buzzing on a weekend. 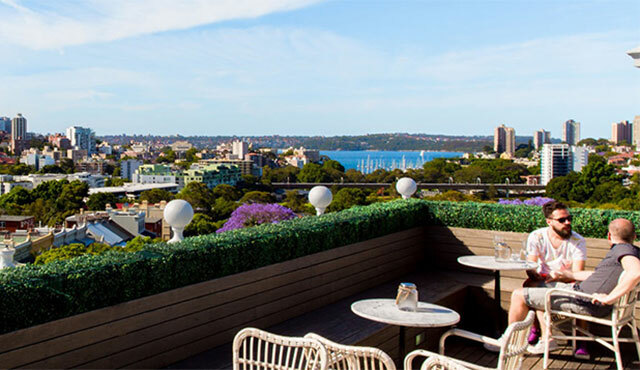 For another rooftop experience the Royal Hotel on Glenmore Road has an impressive open air area, great cocktails and stunning views of the city. Where to begin! For a wholesome way to start the morning take a leisurely stroll through the Kings Cross Organic Food Market with food stalls aplenty (the markets are also open on a Sunday but with the focus on everything from clothes to cookbooks and craft). 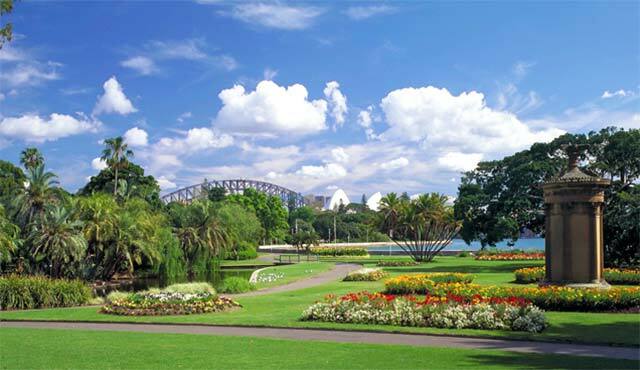 If you’re in the mood for a dose of culture embark on the 20-minute walk from Potts Point through the Royal Botanic Gardens and head to the Art Gallery of NSW. Entry is free but some temporary exhibitions may incur a booking charge. And what visit to Sydney would be complete without some retail therapy? Start locally in Potts Point and pay a visit to Becker Minty which is a treasure trove of furniture, antiques, art, fashion and jewellery. Book lovers should check out Potts Point bookshop which not only has an eclectic collection of books, but staff that are more than willing to direct you to your next read. Shopaholics should walk down William Street (past the famed Coke sign) and head straight to Pitt Street Mall. You can lose yourself for hours in Westfield Sydney where high-end boutiques such as Chanel, Gucci and Miu Miu meet department stores such as Myer and David Jones and big name chain stores such as Zara and H&M. 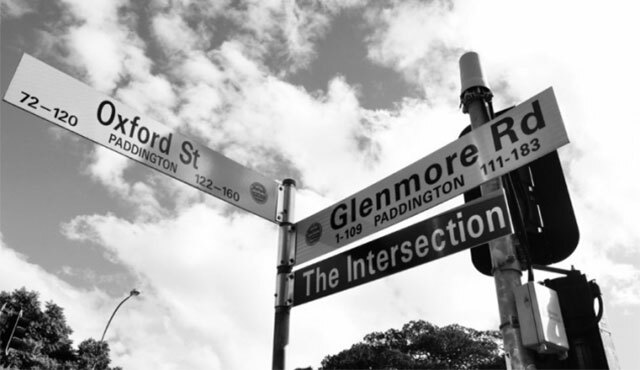 If you don’t feel like battling the crowds head to Paddington’s The Intersection shopping precinct where you’ll be spoilt for choice with the selection of Australian designers selling their wares. Scanlan Theodore, Camilla & Marc and Zimmermann are just some of the brands that call this retail enclave home. For the night owls that may want to let their hair down head to nightclub, Casablanca in nearby Double Bay, a playground for the city’s most glamorous. The dance floor is huge so it’s definitely the kind of spot where you can show off your moves to your heart's content. Celebrate this Valentines Day with your loved one and we have everything covered!